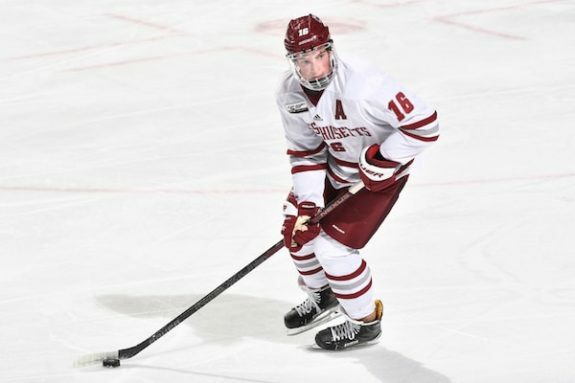 BUFFALO, N.Y. — Once Cale Makar committed to playing hockey at Massachusetts, nothing was going to change the defenceman’s mind. 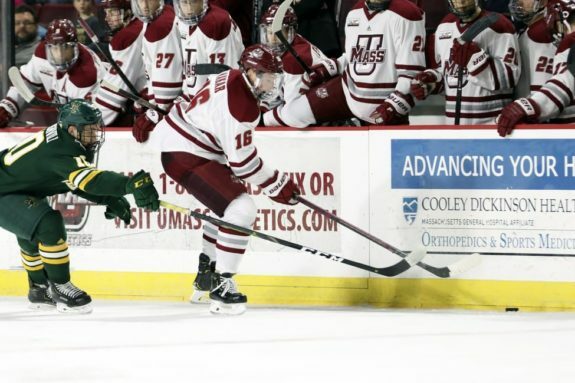 With 48 points (16 goals, 32 assists) in 39 games, Makar is the first defenceman to lead the conference in 20 years. 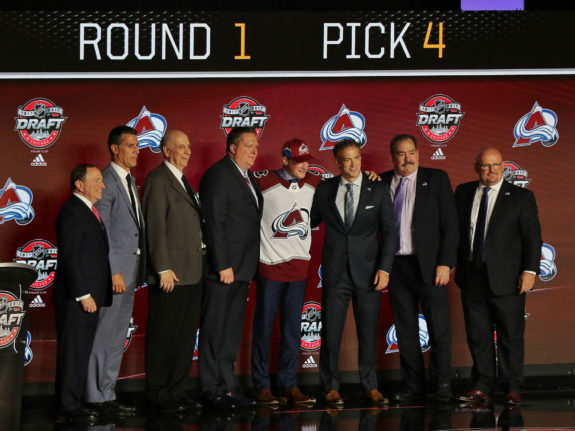 At 6-foot and 190 pounds, he has a solid frame and a smooth-skating style, giving Makar the ability to excel at both ends of the ice. What Carvel wasn’t prepared for was how much maturity Makar has displayed. The coach became emotional when discussing the bond he’s developed with the defenceman that goes beyond player and coach.